St. Ignatius beat Amherst 10-1 Friday in the Amherst Baseball July Classic. It was a pitchers duel until the fifth inning where St. Ignatius put up 5 runs on only one hit. With one out in the fifth and a runner on first a ground ball was hit back to Amherst pitcher Anthony Berrios who could have turned a double play but bobbled the ball and then threw the ball over the first baseman’s head. This led to 5 runs scoring in the inning. Barrios went 4.1 innings for the Comets giving up 4 earned runs on 4 hits, he struck out 7 Wildcats and took the loss. “I thought he pitched really well,” said Amherst coach Matt Rositano. “In the fifth inning he got himself into some trouble with the error to first base and I think he got tired a little bit. Amherst got a run back in the bottom half of the 5th inning when Christian Velez started off the inning with a single. A RBI single from TJ Staton brought the score to 5-1 Amherst. That hit closed the book on Sean Wracher who went 4.1 innings giving up one run on 5 hits. Wracher earned the win for the Wildcats. In the seventh inning the Wildcats scored five more runs, only one of which were earned. “The seventh inning was a good display of offense, we hit the ball hard a couple times,” said Wildcat coach Brad Ganor. “It was a good game, we pitched well and had good defense on our side. 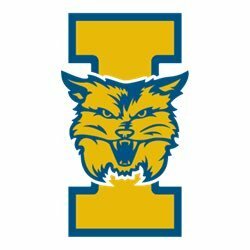 This was a hard fought win for the St. Ignatius Wildcats in the first annual Amherst Baseball July Classic.